Reach customers across Canada and around the world with a bi- or multi-lingual website! 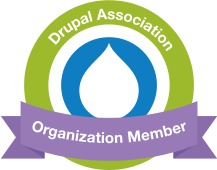 Our Content Management platform of choice, Drupal, has excellent multi-lingual capabilities. Drupal is popular in Europe, where mutli-lingual websites are frequently needed. This means that may people in the Drupal community have worked hard to make internationalization (or "i18n") work well. Everything in Drupal can be translated into as many languages as you need. See below for some examples of bi-lingual websites we have built. Need a multi-lingual website? Contact us for a quote. We are comfortable working remotely with clients across Canada and beyond.